There is nothing more magical than an unplugged childhood. Learning doesn’t just have to come from a tablet. Technology and the latest apps are great, but I’ll opt any day for a book. 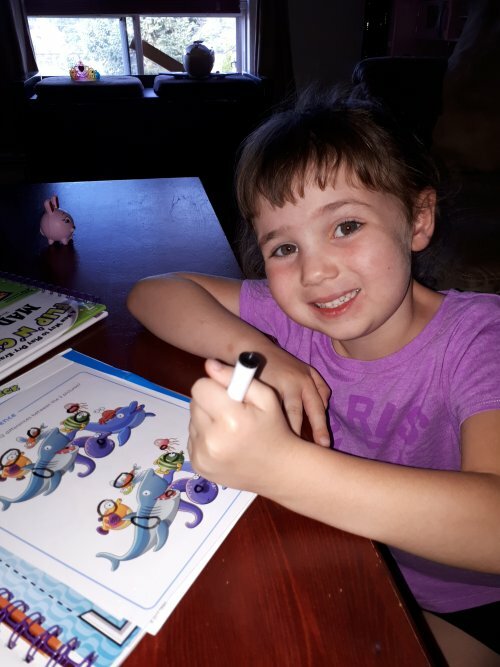 From learning activity books that teach kids how to recognize and write letters to books that teach them how to draw, activity books are the perfect learning activity and a wonderful way to sharpen young minds. I remember using activity books when I was a child many years ago. 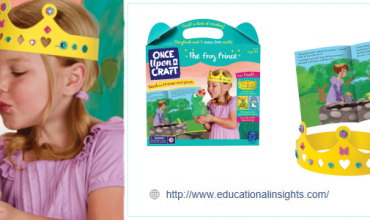 Flip N’ Check Activity Books are a fun new spin on the traditional activity books. 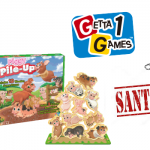 A Flip “N” Check book contains over 20 games including puzzles, mazes, word searches and more. 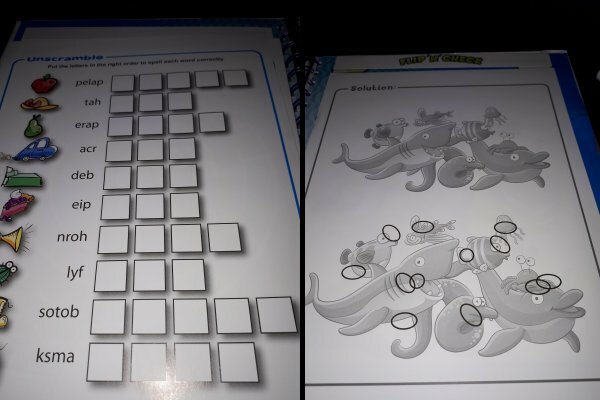 To use my daughter places the activity worksheet under the plastic sheet (included) and uses the dry-erase marker (also included) to complete the task. Then, she removes the worksheet, flips it over, places it back under the plastic sheet to check her answers. When she is done, she can simply clean off the answers on the plastic sheet, select a new worksheet and play again. 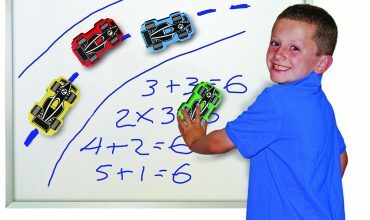 Each dry erase marker is topped with an eraser. 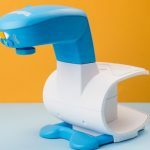 This makes it easy for my daughter to wipe her work off and go on to the next activity! 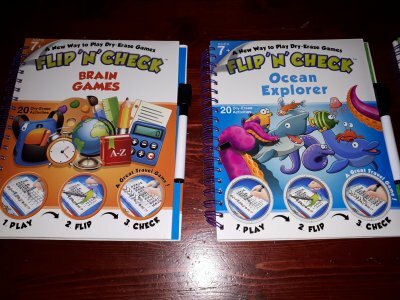 Flip N’ Check Activity Books are recommended for kids age seven and up. My daughter is only five, therefore most of the activities in the book were too advanced for her. I can however see these books being a very useful tool as she makes her way through school. They also would be a wonderful learning tool in the classroom. 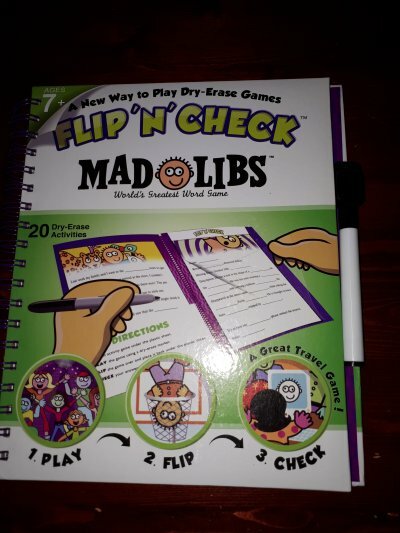 The Flip ‘n Check line also includes a mad libs activity book where kids can write words into the empty spots to create silly stories. Each book is sold separately.I look forward to seeing what new books they will release. 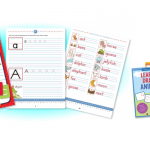 Flip N’ Check Activity Books make great gifts for any occasion. 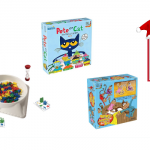 Why not pick up a couple for Christmas and introduce a child to a childhood unplugged. 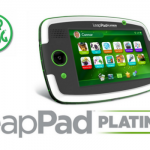 Please visit Flip ‘n Check to see the great selection of products they offer. Flip N’ Check Activity Books are available for purchase via Amazon. 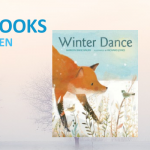 Wow,another lovely activity book,we really enjoy books like this !